Apartment in Palermo Nuevo, Buenos Aires - Kennedy ! Recently renovated 3000 square feet apartment features four spacious ensuite bedrooms, great kitchen, laundry room, and a unique part glazed balcony room with views over both US Embassy and fronting park – It doesn’t get better than this! 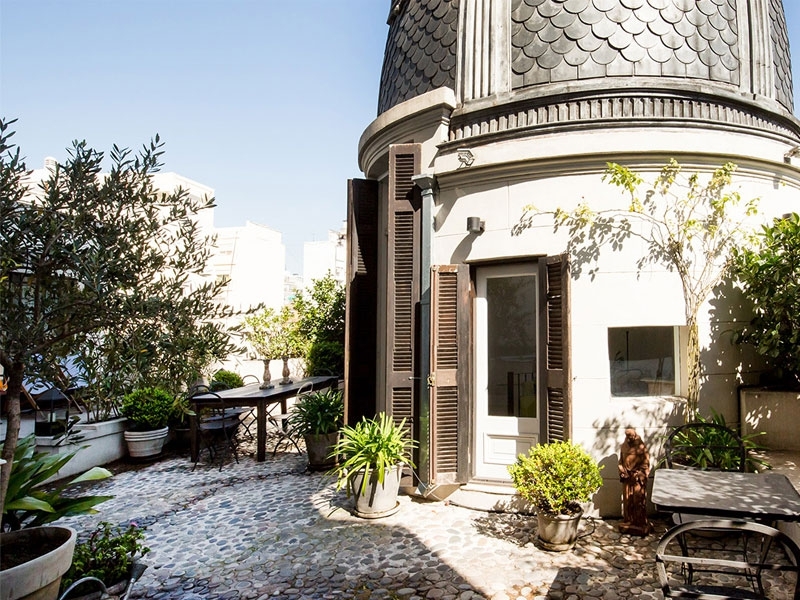 This recently renovated apartment for rent in Buenos Aires is located on Kennedy Street, one of the most exclusive streets in the City. It features four spacious bedrooms, each with their own distinct personality, all ensuite with their very well appointed bathrooms. Location, location, location is but one of the descriptions that can be used to illustrate this stunning apartment, situated in a great part of the city overlooking the US Embassy and with a park directly in front of the building. This apartment is spread over two floors, to create a duplex, in a stylish building and has direct elevator access to both floors. There is a Scandanavian feel to the main living area on the ground floor, white and bright with individual furniture to match the Nordic theme. The livingroom opens out onto an impressive glazed balcony room, that come rain or shine, Winter or Summer, you can sit in and enjoy the views over the park that sits directly in front of the building. There is a separate dining area on the ground floor with table and chairs. The kitchen is well appointed with marble counter tops, a comprehensive range of appliances, a rear balcony area, separate laundry room and also a maids headquarters. The first floor has four spacious bedrooms and four well appointed bathrooms, both bedrooms and bathrooms are individual and have a feeling of quality about them. This really is an impressive apartment, in a great part of town, spacious and bright throughout and benefiting from a unique glass conservatory, your own personal vantage point. The building also has 24 hour security.